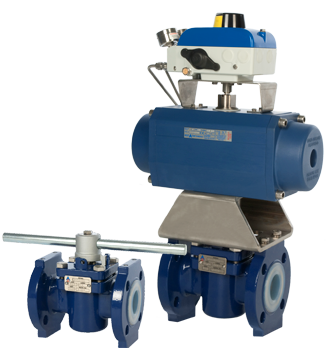 The Aegis® LPG series valves are ideally suited for the stringent performance requirements demanded with wet chlorine gas and aqueous hydrochloric acid applications. The LPG series is designed to offer long-term maintenance-free security against the harmful effects of fugitive emissions. Our standard innovative three point system has revolutionized the performance benchmark for lined plug valves.